The JTU1100MN Quantum Tuba incorporates unique features that puts it ahead of the competition. The first valve tuning slide trigger allows for quick tuning while the extended range main tuning slide offers greater tuning range. The tone ring on the bell helps radiate great power from its 21" bell. The JTU1100MS Quantum Tuba incorporates unique features that puts it ahead of the competition. The first valve tuning slide trigger allows for quick tuning while the extended range main tuning slide offers greater tuning range. The tone ring on the bell helps radiate great power from its 21" bell. 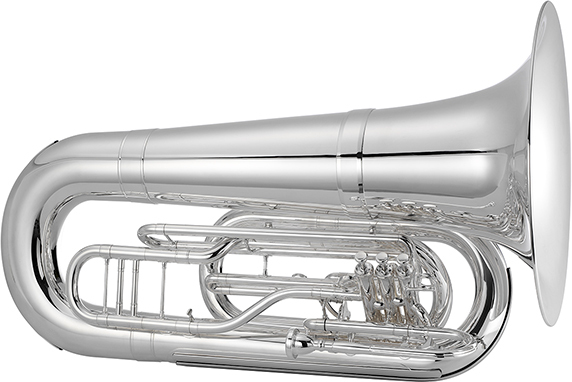 The Jupiter JTU1000M Convertible 3/4 BBb Tuba is a left shoulder convertible marching/concert tuba that is an excellent choice for when you want one horn that works well for both concert and marching band. The JTU1000M features a .661 inch bore for outstanding tone and response from a 3/4 size instrument. 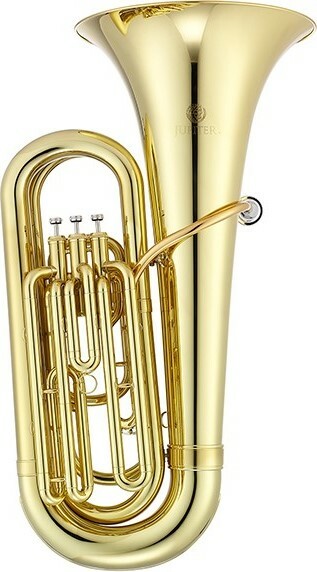 The Jupiter JTU1000MN Convertible 3/4 BBb Tuba is a left shoulder convertible marching/concert tuba that is an excellent choice for when you want one horn that works well for both concert and marching band. The JTU1000MN features a .661 inch bore for outstanding tone and response from a 3/4 size instrument. 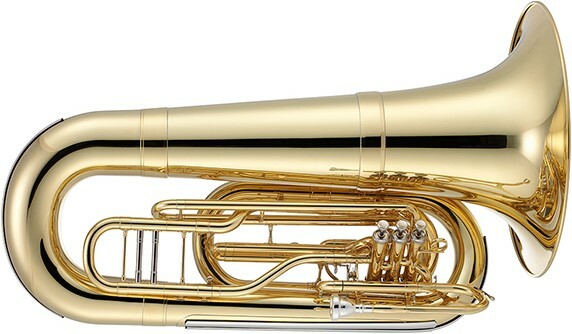 The Jupiter JTU1030MS Convertible 3/4 BBb Tuba is a left shoulder convertible marching/concert tuba that is an excellent choice for when you want one horn that works well for both concert and marching band. The JTU1030MS features a .661 inch bore for outstanding tone and response from a 3/4 size instrument. 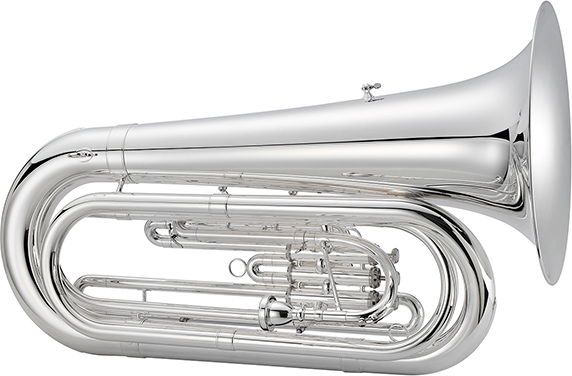 The Jupiter JTU1030M Convertible BBb Tuba is a left shoulder convertible concert and marching tuba perfect for schools on a tight budget. The JTU1030M features a .709" bore for a full sound plus a left shoulder convertible design for a comfortable marching carry position. 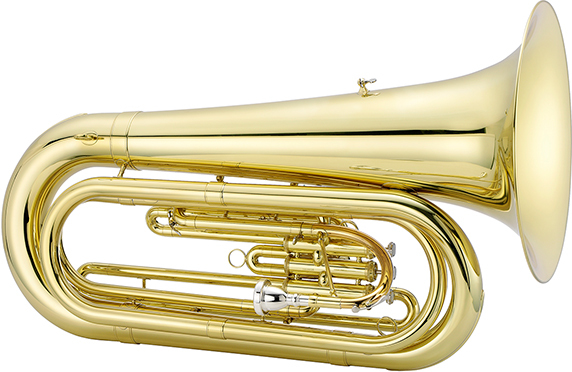 The Jupiter JTU1030MN Convertible BBb Tuba is a left shoulder convertible concert and marching tuba perfect for schools on a tight budget. The JTU1030MN features a .709" bore for a full sound plus a left shoulder convertible design for a comfortable marching carry position. 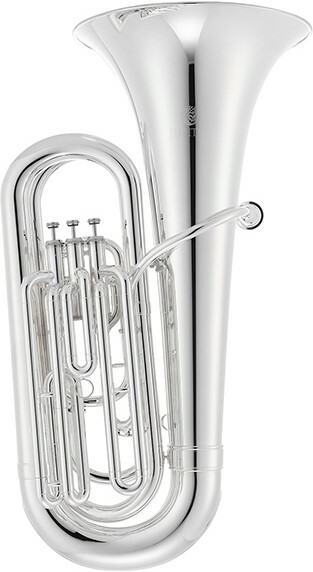 The Jupiter JTU1030MS Convertible BBb Tuba is a left shoulder convertible concert and marching tuba perfect for schools on a tight budget. The JTU1030MS features a .709" bore for a full sound plus a left shoulder convertible design for a comfortable marching carry position.